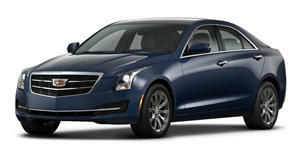 So much for Cadillac's ambitions to take on Germany with dynamic and good looking sedans. Cadillac CEO Johan de Nysschen says a lot of things, but it was with a somber tone that he dispensed the bad news that was only hinted to the public just days earlier when contrasting reports emerged, one stating that the Cadillac CT6 would get the axe along with five other General Motors sedans, and another claiming that the news was in fact a fluke and that the General’s range-topper was going to be left alone. And now, coming via Reuters, is this. “We have to rebalance our sedan portfolio,” Johan de Nysschen told Reuters in interview. That could mean a million things, but unfortunately Nysschen isn’t making a reference to dynamics-boosting weight distribution. Instead, he's alluding to the imminent demise of the Cadillac XTS, CTS, and ATS. So no, the CT6 isn’t officially getting the axe, but every other sedan in GM’s lineup is. On initial impression, that seems to run counter to Cadillac’s sales figures, which saw a 27% increase worldwide through the first half of the year. 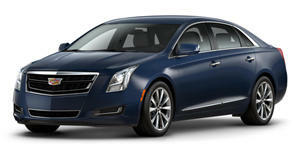 However that doesn't seem to be where the trajectory is headed for Cadillac if it keeps up business as usual. China, now the world’s largest Caddy consumer, saw sales drop 1.6% in the first half of the year, with sedans dropping 16.3% during the same time period. The problem is that Cadillac currently has four sedans and two SUVs, numbers it will need to flip in order to remain profitable. More SUV reinforcements are already in the pipeline and set for debut within the next few years, but to fill the large gap left by eliminating three sedans, Cadillac will release a car dubbed the CT5 to cater to mid trim sedan needs. It’ll cost between $35,000 and $45,000, giving Cadillac fans an option smaller than the CT6 and hopefully replacing our precious ATS-V and CTS-V with the CT5-V.
Fighting tinier German competitors like the Audi A3 will be a small sedan that remains unnamed. The change won’t happen suddenly, although it’ll certainly feel that way. Instead of dropping the axe right now, Cadillac will wait until the current ATS, CTS, and XTS go stale in 2019 and forgo a refresh or redesign. It’s too bad that Cadillac’s push to take on Germany has fallen short due to the changing tides of the industry. It’s not Cadillac’s first compact executive, but the ATS sedan is arguably the company’s best to date. 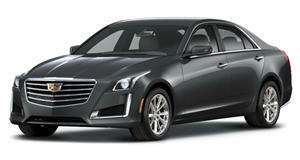 The Cadillac CTS is a near-perfect blend of performance, luxury and comfort.